We're a family pension situated in the Old Town of Prague. 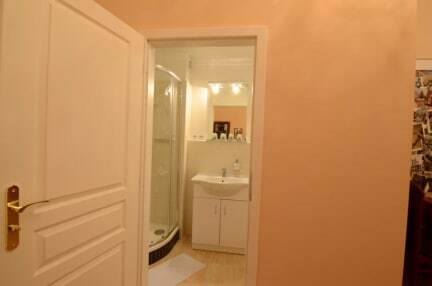 Our guest house offers nice accommodation in two, three or four bedrooms with private bathrooms. Throughout the pension is free WiFi. A kitchen is available to our guests, with fridge, oven, kettle, crockery, cutlery. 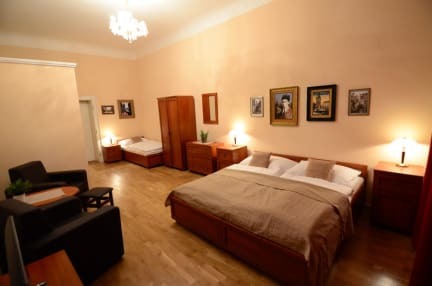 Our Pension Karlova is situated in the center of Prague, a few steps from the Charles Bridge. Prague Castle 39min. walk, Old Town Square 9min. walk. Main Railway Station 18min., Metro; Bus station Florenc 22min., Bus; Airport 40min., Metro and bus. All rooms are equipped with everything you during your stay might need. Each room is equipped with a TV and a safe. The room rate includes bed linen, towels, toiletries. We are looking forward to your visit! Payment upon arrival by cash. We use Czech Crown and Euro. Also we accept PayPal. Breakfast not included. Guests can use a shared kitchen. Guest can book a room on the same day of arrival, but no later than 7PM.